Spring is in the air! We’re only a few weeks from the start of 2016, but how many of those New Year resolutions did you manage to keep? Regardless, now it’s time for some new ones. Spring is the perfect time to update your look and switch from heavy winter tones to fresh spring colours. If you are thinking of updating your look this season, you should think about making a few beauty resolutions to stay looking fresh and feeling fabulous. So here are our top three essential beauty resolutions for spring. We know – we’ve all been there. You’ve had a long day and the last thing you want to do is spend 20 minutes removing make-up. But you really, really should. Free radicals and toxins in the air cling to your make-up – if you don’t wash it off at night, you are giving your skin unnecessary exposure to these damaging elements. 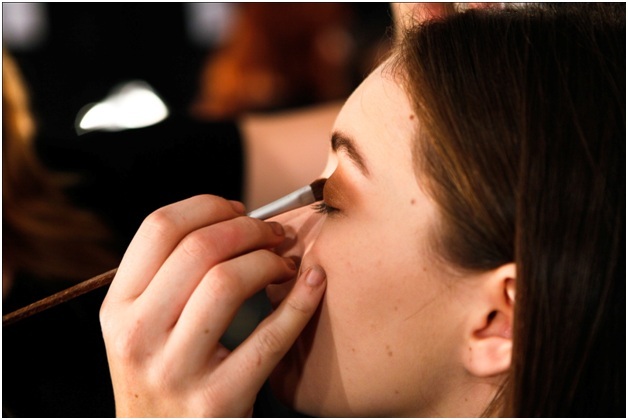 Leaving make-up on all night can also clog your pores, resulting in blackheads and acne. So invest in a good make-up remover (the better it is, the easier the make-up comes off), and let your skin breathe. Your teeth have to last you a long time, so they deserve good care. We all know that you should brush morning and night and flossing once a day keeps teeth healthy and clean. But if you are self-conscious about a crooked smile or misaligned teeth, you might be considering something more. Braces can readjust your teeth to create your dream smile – and invisible braces like Invisalign mean that others won’t even know that you are undergoing treatment. If you are considering Cardiff Invisalign treatment, certified practitioners such as Cathedral Dental Clinic can help you decide if the braces are right for you. Your skin is the biggest organ of your body. It works hard during the day to protect you from infection, UV rays and injury, and spends all night repairing and renewing itself to make sure you stay young and beautiful. In return for all this, the least we can do is show it a little love. A good skincare routine of cleanser, toner and moisturiser will help keep your skin clean, clear and beautiful.